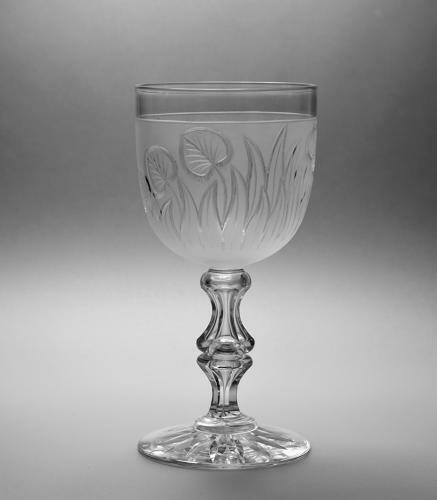 Goblet the bowl decorated with etched lilies and leaves with polished outline. Probably Richardson's Stourbridge. C1870.